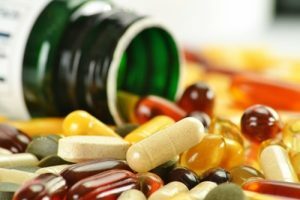 Are you buying the right dietary supplements? Fifty-six percent of adults in the U.S. make dietary supplements a part of their daily regimen for healthy living. Ideally, you’d be able to get all the nutrients you need from the food you eat. Unfortunately, the choice of foods available where you live and how much time you have to shop and prepare your meals have made it very difficult for many of us to rely on food alone for our nutrients. Therefore, turning to dietary supplements has become a necessary alternative for some. Although a growing number of healthcare providers may recommend dietary supplements to their patients, the majority of supplement use in the U.S. is still what I call “self-prescribed.” This can become tricky given the large number of supplements available from different manufacturers. This begs the question: How do you know which products you need to buy? While these regulations sound like they should ensure that only high quality supplements reach the market, they actually don’t cover the companies that sell the raw materials to the supplement manufacturers. Furthermore, the FDA allows manufacturers to make up their own interpretations of GMPs, whether it comes to raw materials or the final products. Ultimately, a large percentage of the 1,200 or so manufacturers of dietary supplements in the U.S. do not perform in-house testing, independent analysis or quality confirmation of their raw materials nor their finished products. That means the chances that you’re purchasing dietary supplements from manufacturers that provide little or no testing for quality assurance are very high. It’s critical for manufacturers to follow due diligence and perform scientifically valid quality-assurance testing via reliable labs of both their raw materials and finished products on a consistent basis to evaluate the level of toxins and contaminants. Sadly, the majority of companies do not. So how do you know which products you should buy? Consult with a specialist in the field, such as a naturopathic physician or a functional medicine-trained medical doctor or nutritionist. Look for healthcare providers who have appropriate education, credentials, training, board certification and clinical experience in nutritional health. They can guide your product selection and tell you whether certain supplements might interact negatively with medications you’re already taking. If you don’t know how to find these specialists, ask a personal health advisor for help. Choose a product that’s been independently tested for dissolution, authenticity, potency, purity, stability, chemical solvent residues, heavy metals (like lead, mercury, cadmium, arsenic, etc. ), herbicide, pesticide and fungicide residues, dioxins, PCBs, rancidity markers, aflatoxins, bacteria, yeast and mold counts. Choose products that contain the most bioavailable forms of nutrients, which means that more of the nutrient can be used by your body. Powders, capsules, liquids and solid extracts are delivery forms that also typically yield better bioavailability than tablets. Avoid “proprietary blends,” when possible, as these make it difficult to determine the exact dosages of active ingredients within the blend. Avoid products with ingredients that include corn, wheat, dairy, sugar, preservatives, artificial colors or flavors, coatings, fillers, diluents, binders, glidants and excipients. Dietary supplements should only be considered as one component of an overall healthy lifestyle. You also need to get adequate amounts of quality sleep, regularly exercise, and practice mindful forms of stress management.